P. Kramer and P.L. 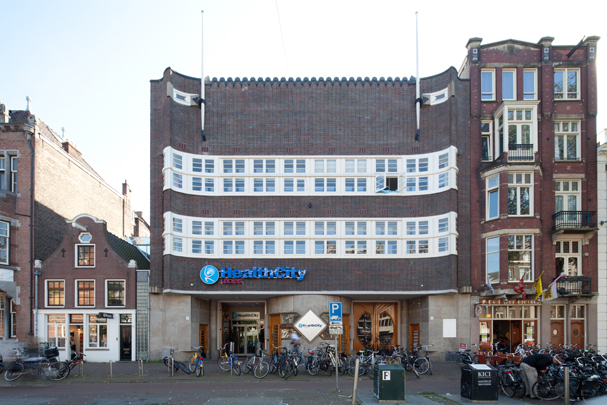 Marnette, two architects of the Amsterdam School which came into vogue after World War l, made designs for Public Works, the agency responsible for buildings for municipal services, schools, bathhouses, bridges and street furniture. The former Traffic Agency building has a rippling brick facade pierced by two horizontal window bands on a stone base. At Stadhouderskade 1 is the finely detailed former Administration Building for the city's trams, also by Marnette.